A day after the Mi A1 received a price cut to Rs 13,999, Xiaomi is looking to provide users more reasons to buy the Android One powered smartphone. The company is now beginning to roll out Android Oreo to beta testers of the smartphone. 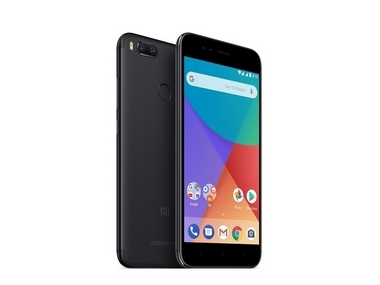 During the launch of the Mi A1 is September, Xiaomi had assured buyers that the phone will receive an update to Android Oreo before the end of 2017 and the company seems to be on track to deliver on their promise. 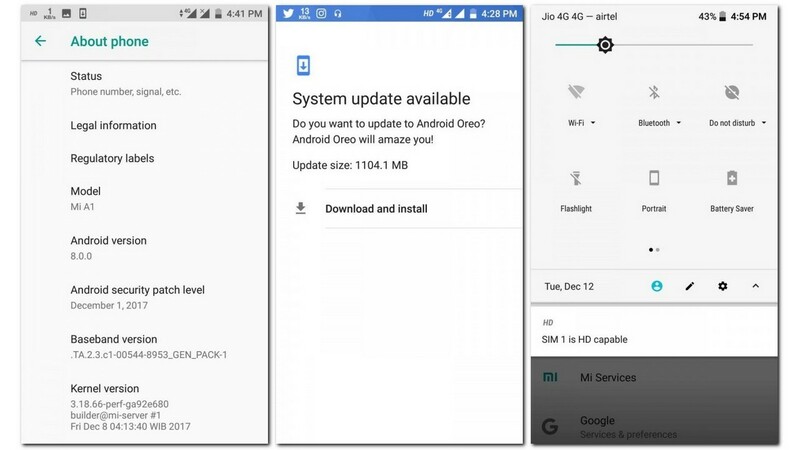 Based on a report by GSMArena, the beta update is 1104 MB in size and includes the December Android security patch. An early adopter, speaking to the publication stated that one of the notable improvements of the update is a faster fingerprint scanner. Being a beta build, the update is not flawless and comes with issues with the dual-SIM capability of the phone. The Xiaomi Mi A1 comes with a metal unibody design. It sports a 5.5-inch FullHD display that is protected by Corning Gorilla Glass. The Mi A1’s rounded edges give the phone a premium feel and it has a fingerprint sensor located at the back. In terms of hardware, the phone has 4 GB of RAM and 64 GB of internal storage which is expandable via a microSD card. It runs on a Qualcomm Snapdragon 625 chipset which has an octa-core processor which is clocked at 2.0 GHz and employs Adreno 506 GPU. In the camera department, the phone has a dual-camera with a 12 MP wide-angle sensor and a 12 MP telephoto lens. This enables 2x optical zoom and helps create the bokeh effect which blurs the subject’s background. The camera also offers up to 10x digital zoom and has dual-flash as well. On the front of the phone is a 5 MP selfie camera. Xiaomi offers a well rounded phone at Rs 14,999 with stock Android to boot. If you are in the market for a Rs 15,000 phone, you will not go wrong with the Xiaomi Mi A1. Of course, you will have to factor in one of its major drawbacks — poor low light photography. But that apart, there is fairly little to complain with the Mi A1. And thankfully, it will not just be available on flash sales which gets over in seconds. Xiaomi has also partnered with a lot of offline retail partners for the Mi A1.